I have always liked to draw and paint. As a child when I had to make choices for my study and profession I thought a study in advertising was a wise choice. However, the romantic desire to become an independent artist grew and after four years of studying advertising I decided to do a follow-up study at the Art Academy. For me that was the best choice I ever made. I loved all the different courses like sculpting, photography, silkscreen printing, painting, drawing, philosophy and history etc. When visiting the van Gogh museum in Amsterdam I was fascinated and touched by the presence of the enormous quantity of energy in his paintings. I decided there and then that I wanted to become the best painter I could possibly be. In my paintings I'd like to show the viewer an image that he recognises as something natural and tactile, but with a little twist, suggestively painted, leaving room for contemplation. In the first series - the "All the parts" sketches - the focal point is on the transcending of shape and form. In the abstract "zonder titel" series, following the "All the part sketches", I let go off the figurative. I experience an intriguing sort of freedom. 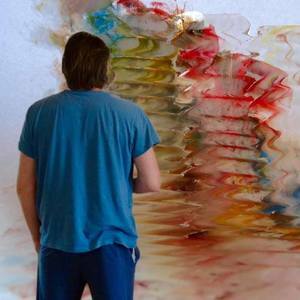 The proces of painting shifts from controling the act, to a more sensitive experience. I am on a quest for freedom, reconsidering the embedded convictions on how a painting should be realized and by painting creating sources of energy that last I like to experiment with several techniques from glazing to plastering, mostly with oil on canvas or paper. The style also varies from figurative to abstract. 'All Coherence Gone?' Historical currents in contemporary still life.